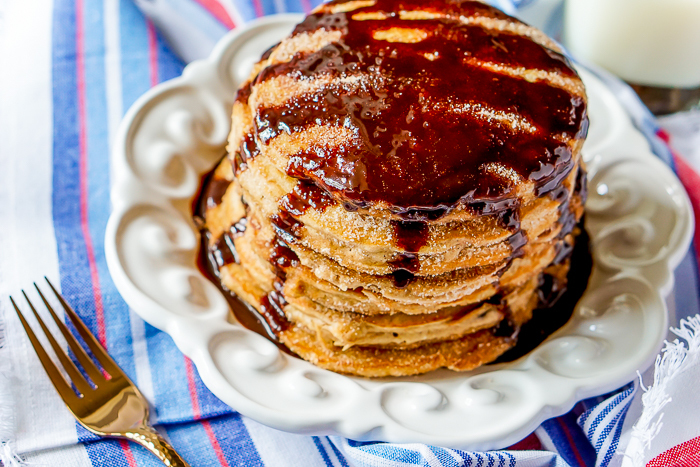 You won’t be able to say no to these addicting Churro Pancakes! I’ve said it many times before, but I am a breakfast person. It is my favorite meal of the day that I would eat at any time of the day truth be told. 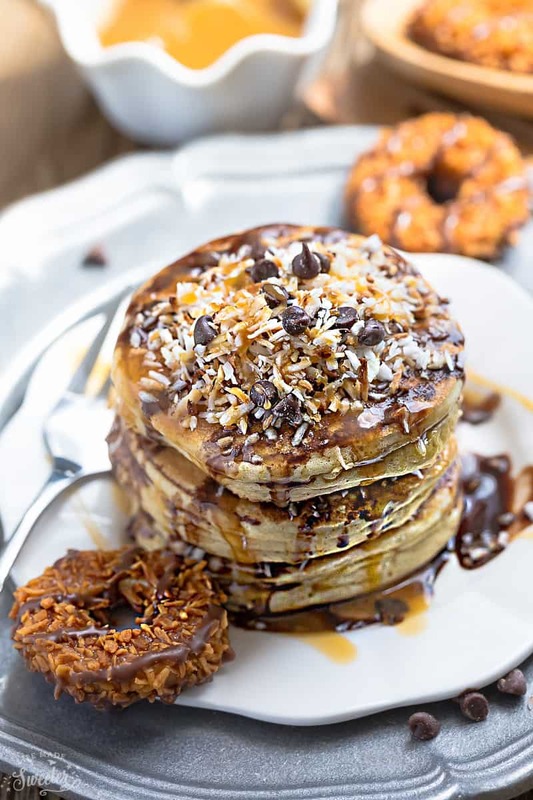 Therefore, I decided to whip up something new for National Pancake Day. Yes, that’s a thing! 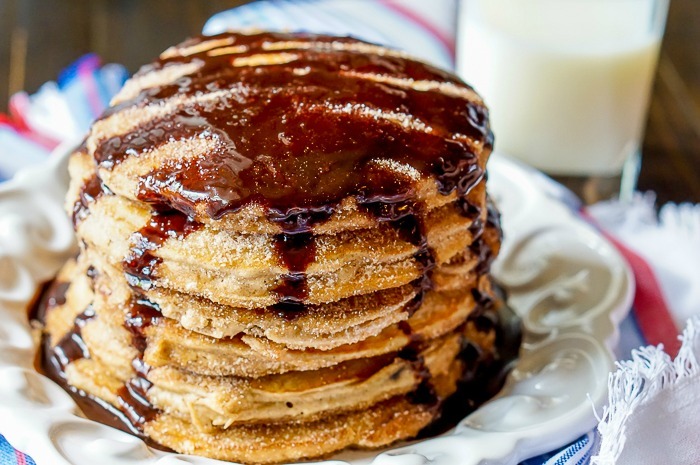 Enter these sweet and fluffy Churro Pancakes that are incredibly addicting. No joke! In case there is anyone out there that has been deprived of a churro, a churro is a fried dough pastry that is often covered in sugar and enjoyed at breakfast or as a treat. 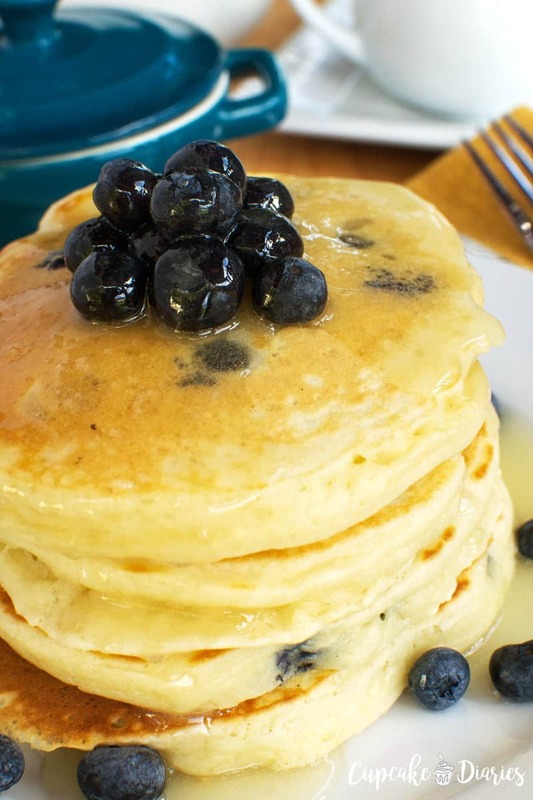 They are delicious and felt like the perfect inspiration for a new pancake recipe. I decided to start with my favorite everyday pancake blend. This is the mix that Bryan and I use most often when making pancakes together because they are light and fluffy. 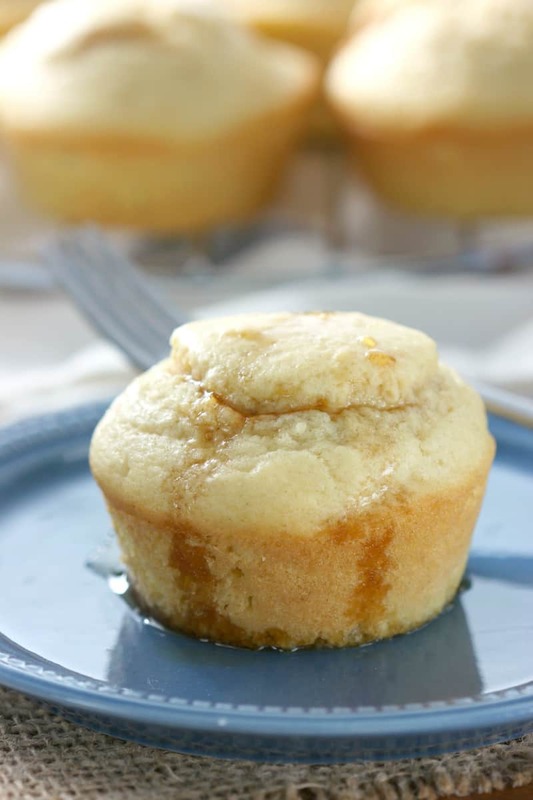 Plus, with Bisquick as the base, it is easy to throw together. 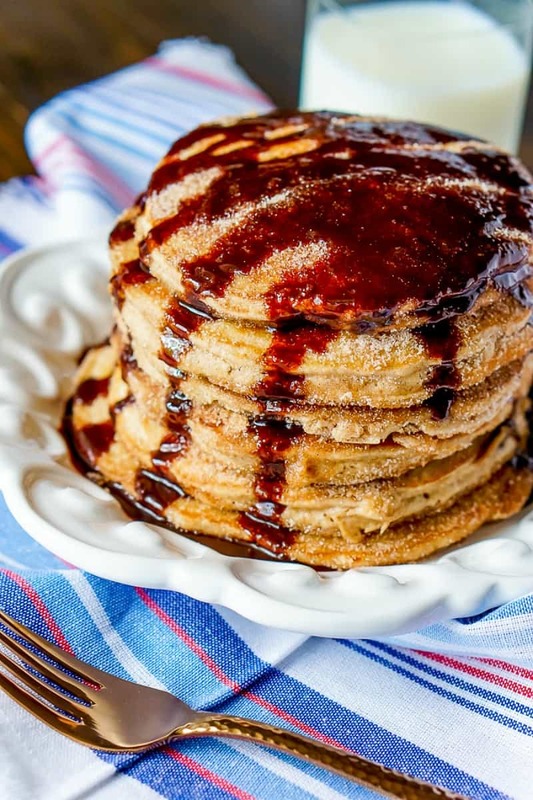 Then, I added a cinnamon and sugar coating that adds so much flavor and interestingly does give the pancakes the subtlest of crunch that you would get when eating a traditional churro. Thoroughly mix together all the ingredients for the pancake mix. 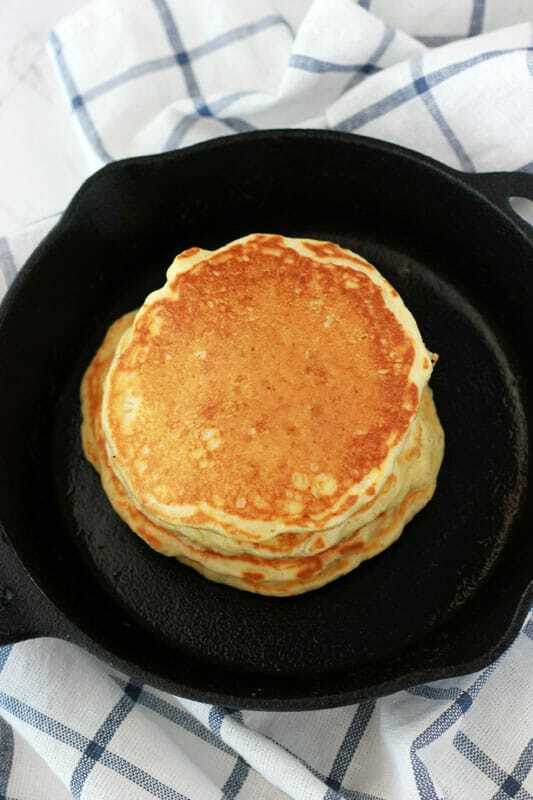 Heat griddle or skillet over medium-high heat. Grease with cooking spray. Add about 1/4 cupful of pancake mixture onto hot griddle. Cook the first side until bubbles appear and edges are dry. Turn; cook until golden. To keep warm, place in 200°F oven or a warming tray. 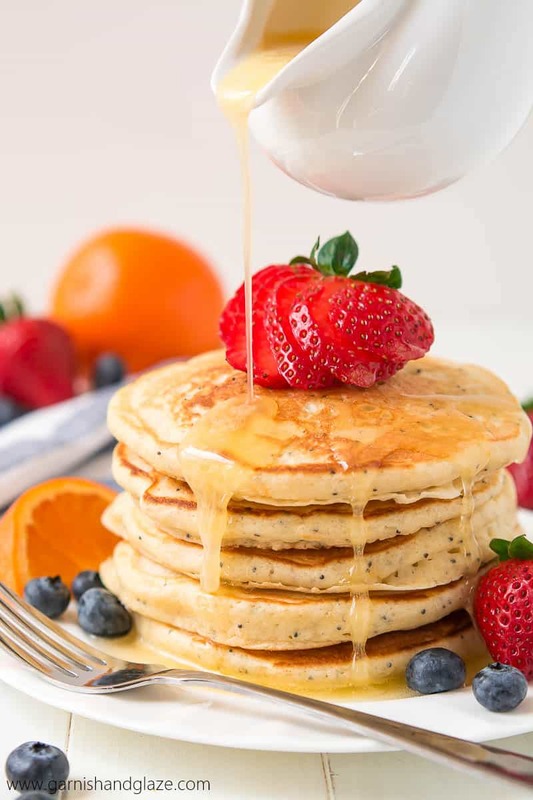 When all your pancakes are cooked, melt the butter on a plate. Also add cinnamon and sugar for pancake coating onto another plate. 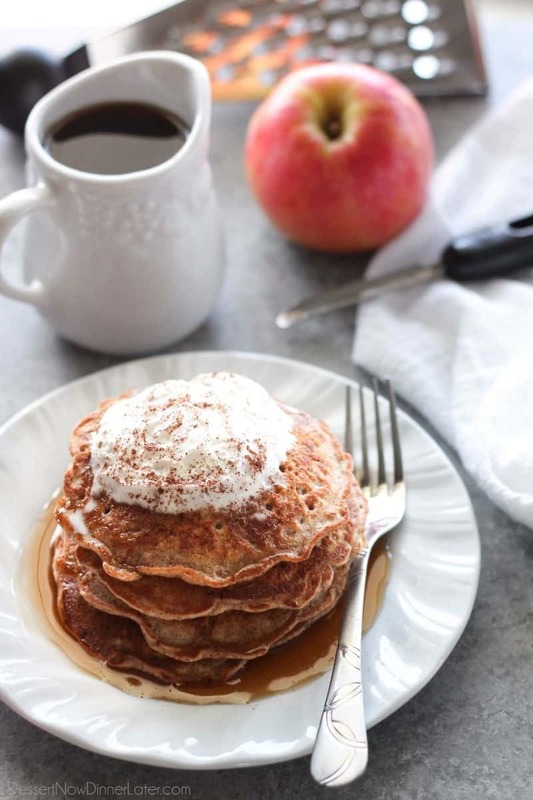 Dip the pancakes in the butter and then coat with the cinnamon and sugar. 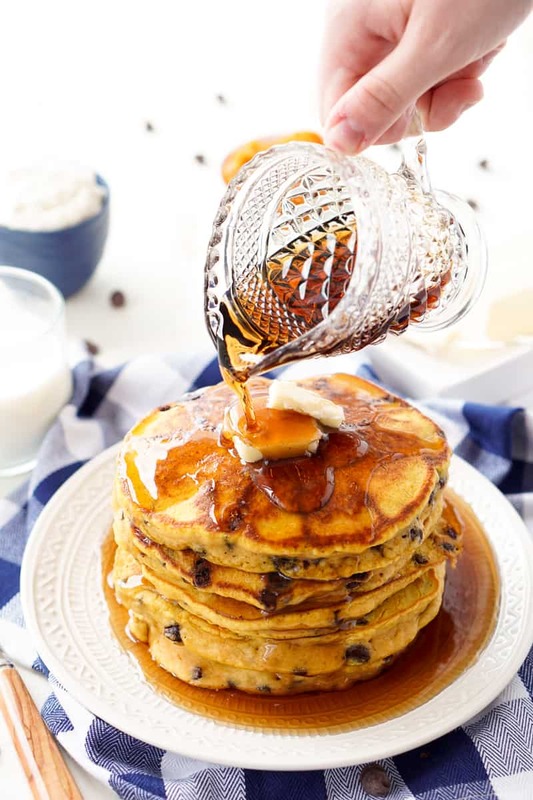 Forget syrup! Though I’m sure it would actually taste great with the cinnamon and sugar. 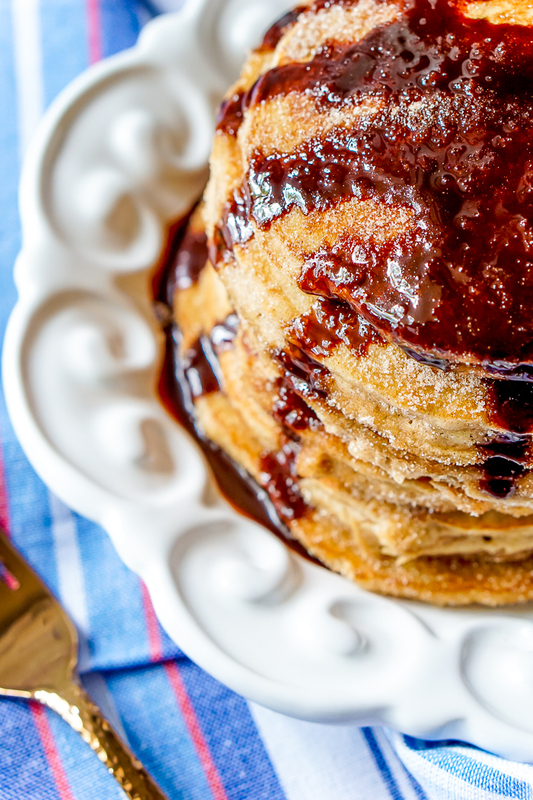 Churros are often served with chocolate though, so that is how we decided to top off our pancakes! Tasty! 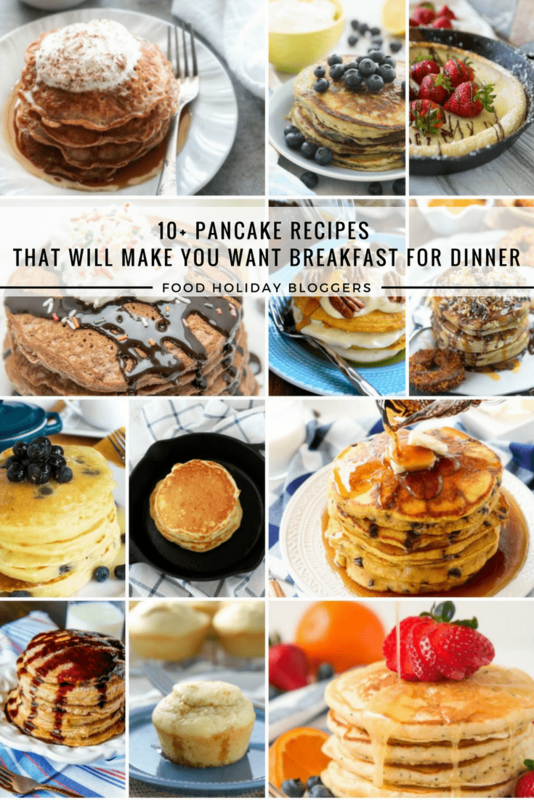 Now, because I have awesome foodie friends who also love breakfast like I do, check out these other delicious pancake recipes! 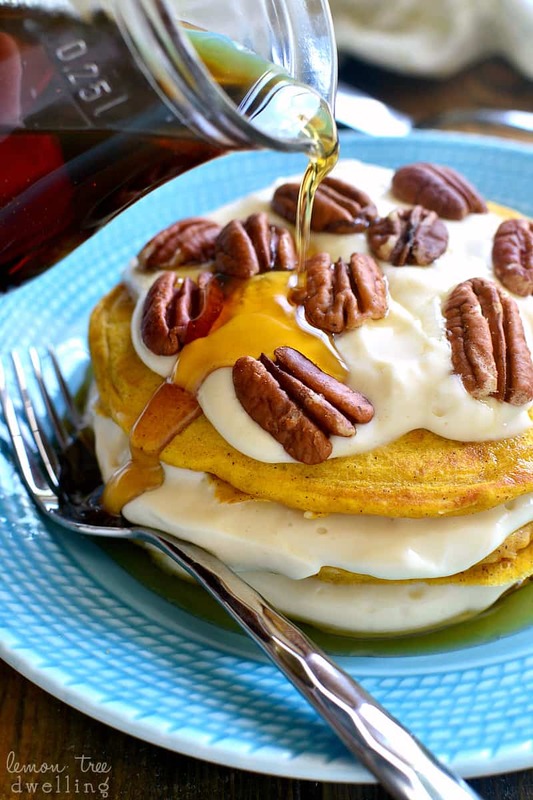 Just wait until November when we come back with french toast recipes! 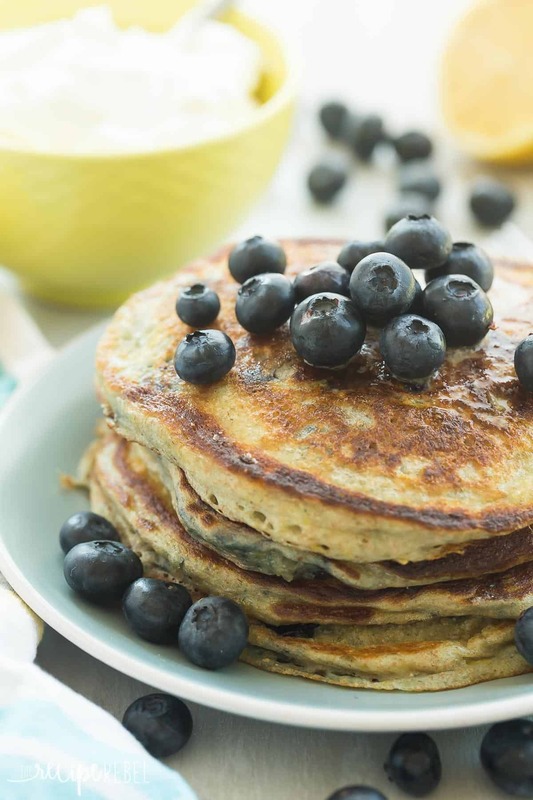 What a fun flavor for pancakes! 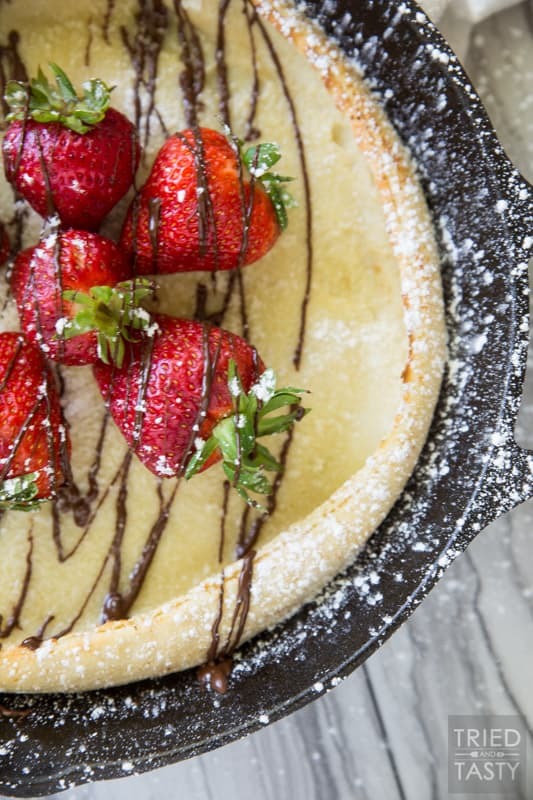 Love the chocolate sauce drizzled over the top! Oh good heavens! I LOVE CHURRO’S! 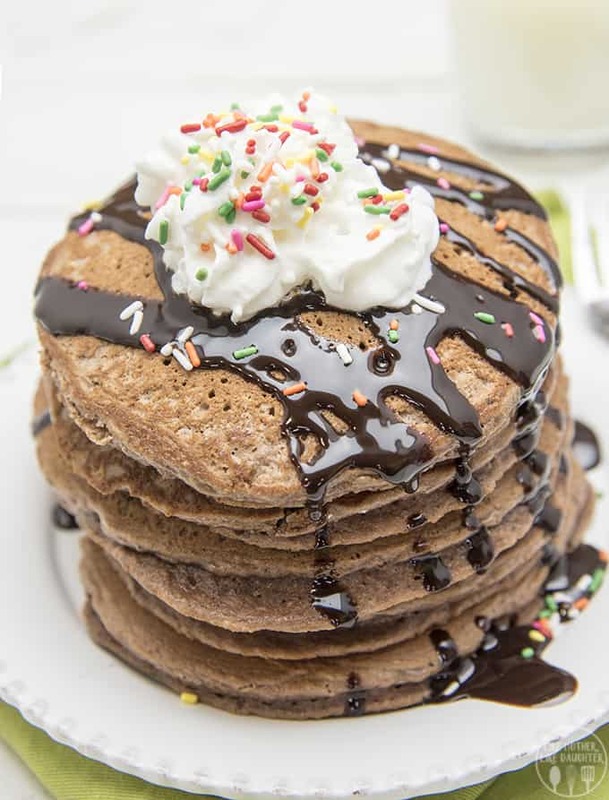 These look amazing and I love that you topped everything off with some chocolate!